A legal separation is a court order stating that a couple does not live together any longer, and that issues such as child custody, child visitation, child support, spousal support, distribution of property, attorney fees, etc have been resolved, except for marital status. A legal separation is similar to getting a divorce, but it may be advantageous for a couple to get a legal separation for tax and social security benefits, religious purposes, experiencing living apart, and protecting assets. Getting a divorce could be a very stressful and emotional event. Family and economic issues when a couple goes through legal separation and they may be difficult to resolve. Issues such as who will take over the care of children, who gets to stay in the home and spousal support are difficult to resolve reasonably under divorce circumstances. A legal separation is a court order that states a couple no longer lives together but they are still legally married. A legal separation allows a couple to separate while taking the time they need to determine the status of their marriage. It can also allow a couple that does not wish to completely divorce take time apart to get the space they need. In a legal separation, the standard divorce matters are still dealt with and resolved. The couple will need to determine child custody arrangements, child visitation rights, property and asset division, alimony, child support, etc. A legal separation may be more advantageous than a divorce as it still allows the couple to share in tax benefits, social security benefits, insurance, and joint assets. It also may be beneficial for religious reasons or family purposes. A legal separation can protect your interests before filing a divorce or until you get back together. A separation agreement can outline the most important aspects of a relationship, so without one, certain issues will be difficult to resolve, such as child support and visitation issues, splitting the assets and payment of bills. A legal separation can relieve you of the responsibility of paying your spouse's debt, liabilities and taxes after the separation. Although a legal separation is not the same as a divorce, a lawyer is still valuable and helpful. Legal separations are complex and may be stressful. An experienced family law lawyer will help explain the pros and cons of a legal separation to you, and will help you file for a legal separation if you so choose. They will inform you of your rights during the process and help ensure those rights are protected. When going through a legal separation, you will need to create and sign an agreement between you and your spouse that outlines the most important aspects and decisions involved in your relationship. 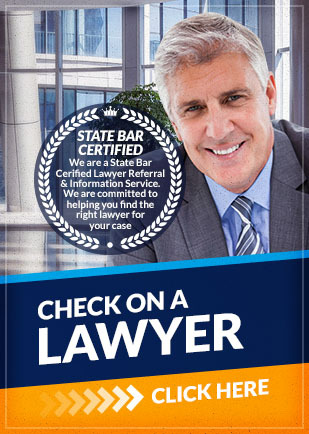 Without one, you may face disputes and issues regarding your children, assets, finances, debts, liabilities, etc. A family law lawyer can help you through this. They will ensure your rights are protected until you either file for a divorce or restore your marriage. If you are planning on filing a legal separation, knowing your rights and what is involved in a legal separation is important. Having a legal separation lawyer can assure you that your parental rights, responsibilities, and relationship with your children are protected. A legal separation lawyer can help you resolve difficult matters.